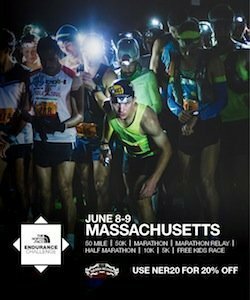 athletic sportswear giant New Balance signed on as the the multi-year sponsor of the NER Pub Series. you’re 10th Master, you get one point. New for 2014, The Octogenarian (80+) division, 3-deep for men. party in Dec. and who knows where else. young bartender in the Sam Adams commercials? That’s Publican Gerry Burke, Jr.
standing in front of the bar at Doyle’s (but we digress). Interactive Simon Says outside, food and free pouring libation inside and out. Awards night is held in the Fitzgerald Room at Doyle’s each December. May 18 – 14th Annual Evan’s Run 5K – Sunday, 10:30 – Kids races starting at 8:30. Autism) with a great race for runners. A Pub Series event in 2010-2011. Having run the course, the first mile is fairly flat. is located at 690 Main St. in Norwell (781-659-9303). to boot. If Ol’ Sol helps out, it can’t be beat! Plenty of room for the family and vendors, not to mention the keg corral. The Corrib is an old-school Pub Series race; it was in the original 1998 NER Series line-up and has been the site of several past Pub Series races (the latest in 2010) and features a fairly unique urban course. of Billings Field only to descend the ‘screamer’ on the other side to the finish line. There were over 2,000 entrants and 1,951 finishers in 2013. Stay tuned as there’ll no doubt be some twists to this event of Pub significance, like the team challenge (5 or more) competing for Extreme Team beer mugs, outdoor entertainment and the like. NER attended (& ran) last year and the food and beverage (especially the beverage) is non-stop in the outer courtyard, and this was during a rainstorm so hopefully better weather will prevail. The evening before the race on Oct. 4 from 6-8 pm there’s number pick-up available at the Manor as well as a free pasta dinner (price included in the entry fee – $20 pre, $25 day of). There are shirts to the first 300 and Rene Rancourt (of Boston Bruins fame, 2nd from right in the photo)) sings the national anthem preceding the race start at 11:30 am. On-line registration is available here (to be activated after Memorial Day weekend). O’Hara are, by themselves, well worth a leisurely tour of the pub. bi-weekly enewsletter to keep track of all Pub Series proceedings. Good Luck & Have A Great Series!